I’ve always liked Wagamama dishes (except for the ramen) especially their curry. So, imagine my happiness when I was invited there way back for the launch of their revamped menu, following the guidelines of Kaizen. But what is it? To make it short, Kaizen is the practice of continuous improvement. By incorporating it in their restaurants, they have minimized the menu to the bare essential info , making it less confusing what to order. And the new food offerings, I must say, are delicious. 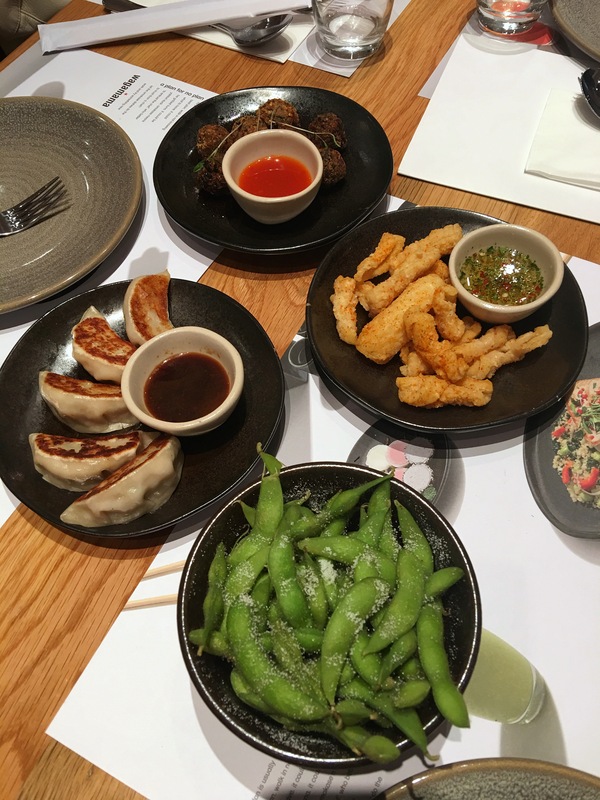 Their starters: edamame, gyoza, mushroom onigiri and chili squid. 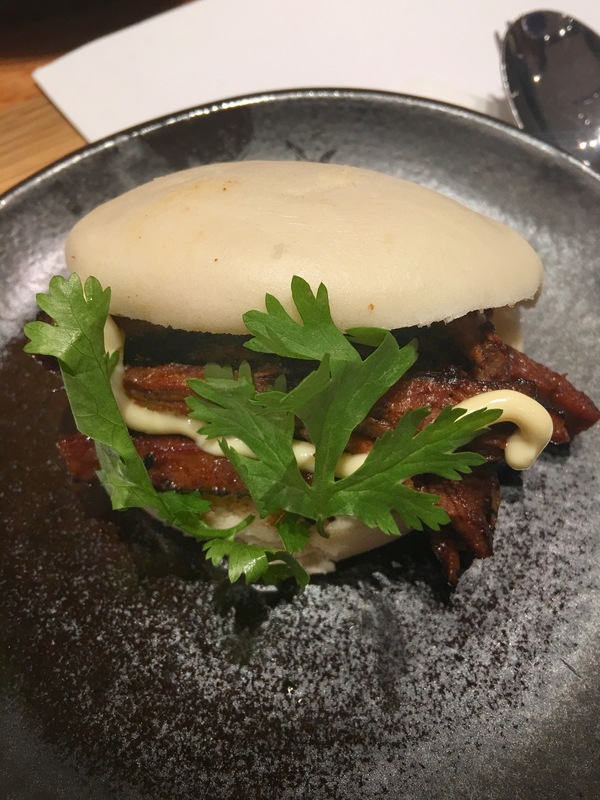 The steamed hirata bun. This one is amazing, I can eat ten of it in one go. 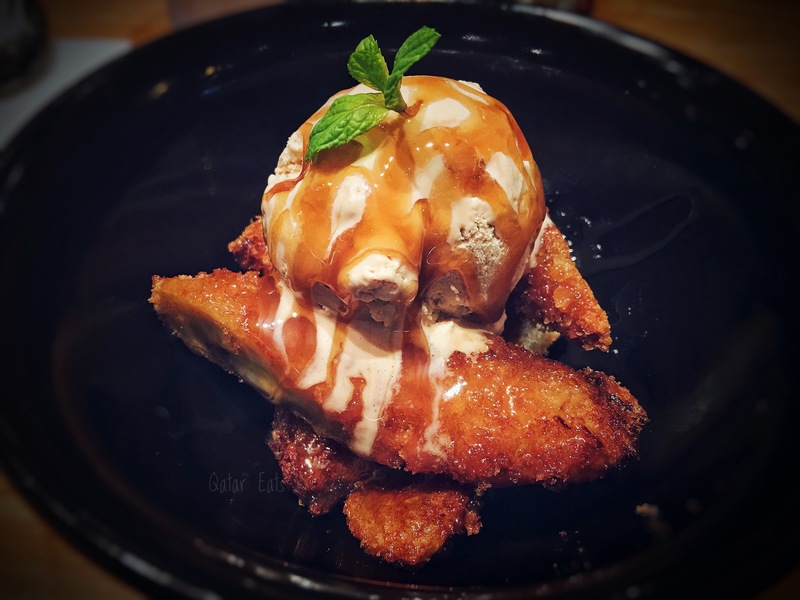 Banana katsu: my ultimate favorite dessert from Wagamama. 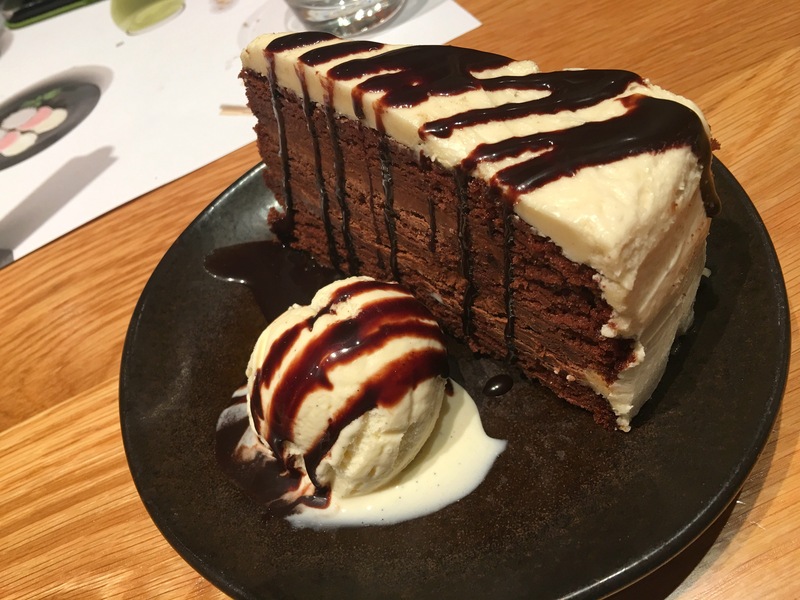 The chocolate wasabi cake. It was good but I can barely taste the wasabi in it. 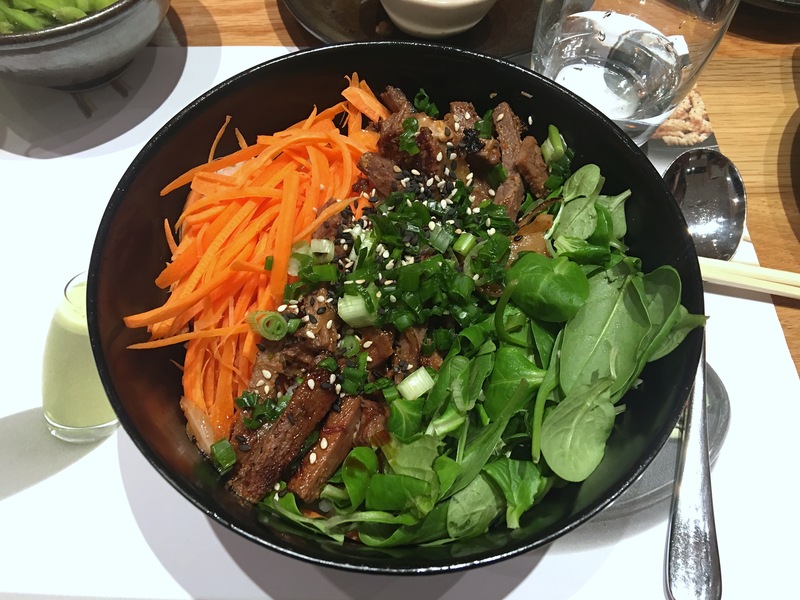 So, if you don’t have any ideas on where to eat this weekend, why not head over to Wagamama and enjoy their food. I highly recommend the hirata steamed bun and banana katsu❤. Expat blogger in Qatar. Guest experience. Recipes. Daily blahs. All establishment reviews are of my own experience, be it paid for by myself or sponsored by the mentioned establishment. Qatar Eats and The Reformed Junk Food Junkie are both private properties. Reproduction of material from these websites and related social media websites without written permission is strictly prohibited. Using material without authorization constitutes as plagiarism as well as copyright infringement.